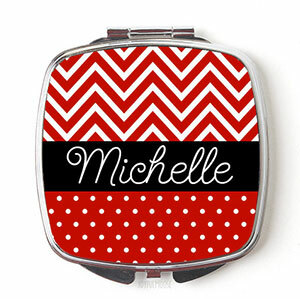 2.25″ Square Personalized Compact Mirror. Two mirrors inside. 42 colors, 24 patterns. 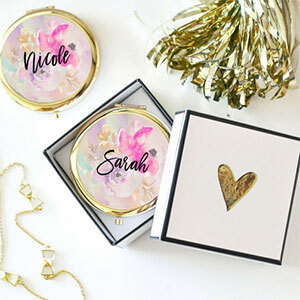 Set of SIX Personalized Floral Compact Mirrors (any message up to 12 characters). Price is for 6 compacts.